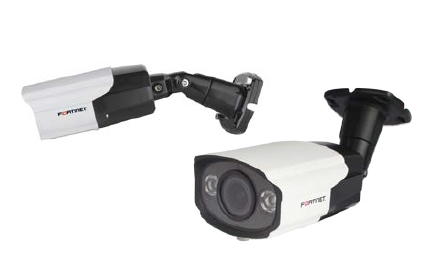 Get complete visual coverage inside and out with FortiCameras. With options for indoor and outdoor, vandal-proof, weatherproof, lowlight night vision, fixed and motorized zoom lenses and 2-way audio, there’s a FortiCam that fits every environment. All FortiCams deliver crisp, high-resolution HDTV-quality images to any FortiRecorder NVR, either continuously or triggered by a range of events, including motion and/or audio detection. 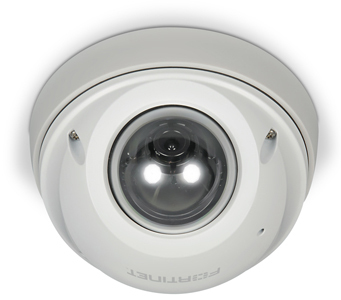 This fixed dome camera is a popular configuration and delivers outstanding flexibility and utility at an affordable price. The crisp 1080p resolution image can cover up to 91degrees horizontal making it perfect for left to right corner views. Its direct wall mountable triple-axis modular design allows mounting flexibility by installing the baseplate and housing first while adding the camera module later. 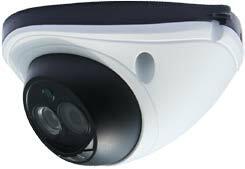 Rated IK10 for vandalism, removable sun shield and indoor/outdoor capabilities with good 100-foot IR range round this versatile camera model. 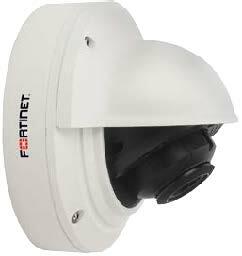 Integrating a camera plus WiFi access point, the FortiAPCam 214B cuts clutter and simplifies the installation of your security and your wireless systems by combining the two. 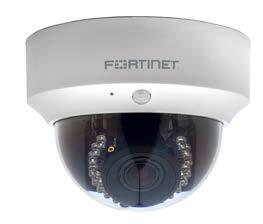 It delivers the high-security wireless networking that Fortinet’s access points are known for in the body of a high-resolution day and night security camera with a wide dynamic range, passive infrared sensor, DI/DO and tamper detection. Wide dynamic range (WDR) technology compensates for lighting imbalances, capturing detail that other cameras can miss. 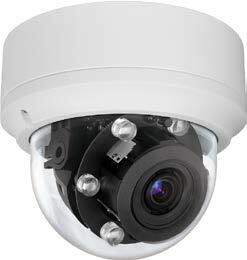 Built-in infrared LED lights allow it to see in the dark up to 45 feet away. Varifocal lens with wide viewing angle to match almost any situation. The passive infrared (PIR) sensor detects motion up to 15 feet away, automatically activating the infrared lights. The built-in wireless access point delivers secure, identity-driven WiFi access. 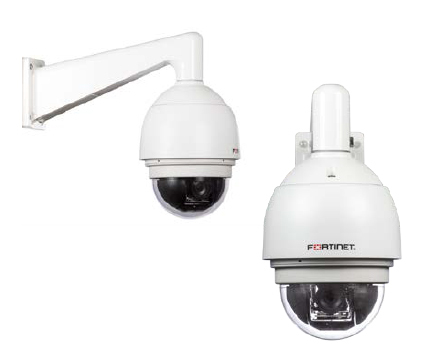 Managed by a FortiGate or FortiWiFi platform with its integrated wireless controller, the FortiAPCam 214B allows you to deploy a comprehensive integrated security solution for your wireless and wired networks. The access point is 802.11 a/b/g/n standards-based and operates on both 2.4 GHz b/g/n and 5 GHz a/n. 802.11n Features 20 Mhz and 40 Mhz High-Throughput (HT) Support Increased maximum frame transmission by incorporating A-MPDU and A-MSDU Packet Aggregation. Conserve power via Dynamic MIMO power save. Low-density parity check (LDPC) encoding. Maximum likelihood demodulation (MLD). Transmit beamforming (TxBF). Maximum Ratio Combining (MRC) for improved receiver performance. Wireless Monitoring Capabilities Background scan with client access on 2.4 and 5 GHz. Full-time scan as dedicated monitor option.